Our 2012 Community CHIP donations totaled over $220,000 from both Willy Street Co-op sites. 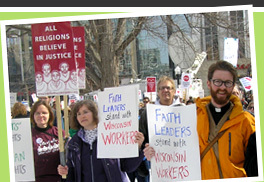 Those donations are invaluable, allowing Community Shares of Wisconsin (CSW) to support all of our member groups. Thanks to all of you who say yes to CHIP. Thanks too to all of the Co-op staff. Without all of you working together, this critical funding wouldn’t exist. In other news, CHIP donations are also deductible, with the recent merger of CSW and CHIP. She added that the new CSW tagline is: Many people, many dreams, one community. “The unified work of CSW and CHIP donors beautifully illustrates this message. We have always relied on the active involvement of large numbers of people wanting to create change. Both the Co-op and CSW value the long-term partnership that has allowed them, together, to raise these needed funds for grassroots nonprofits in our community. Gifts to Community Shares are tax deductible to the extent allowed by law. Copyright © , Community Shares of Wisconsin. All Rights Reserved.